Hey Northside, you can order sushi for pick up at Little House! Big News: we're teaming up with the ever- awesome StickyTogogo to bring sushi to the north side! 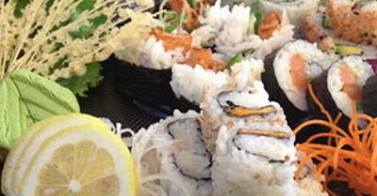 Order 24 hrs in advance, and voilà, your sushi platter will be ready for pick up at Little House. Why not step up your Super Bowl party with sushi this year?